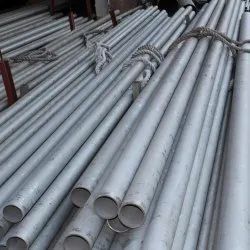 Leading Manufacturer of cdw tubes / precision tubes, carbon steel erw precision tubes, economizer finned tubes, ms erw tube and boiler bank tubes from Mumbai. PUSHPAK CDW tubes are produced at our state- of- the- art manufacturing plant that has the capabilities to produce high quality tubes at low cost and with short lead times. Smooth surface finish - 0.2 Ra for cylinder bore quality. Annealing and Surface treatment of ERW tubes. Cold swaging/push pointing operations for preparing pointed ends. High precision close machined die to control outer diameter. Plug placed coaxial with outer die to control inner diameter. Annealing, straightening, 100 % eddy current testing ensure quality and fitness for required application. 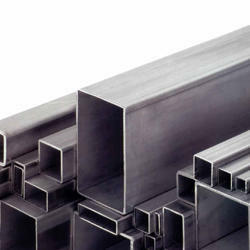 We are the manufacturers and exporters of ERW(Electric Resistance Welded) steel tubes and pipes in India. We use high frequency welding process for Carbon Steel ERW Precision Tubes. We have fabricated various types Economizers Coils, (Plain Tubular Economizers, Finned Economizers Cast lron Gilled Economizers), Feed water heaters Evaporator Coils etc. 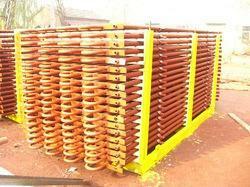 The main problem faced by boiler engineers is the Erosion of the Eco-Coil tubes and mainly at bends. We offer innovative Solutions to extend the life of the Coils by providing Cassette baffles for bends, Half Tubes Sleeves for upper tubes, SS full Sleeved tubes etc. Turks head and sizing roll ensure straightening sizing of tubes into various sections such as rectangular, square, elliptical and oval. Annealing, Pressure testing, Eddy current testing, straightening or cutting ensure quality and fitness for required application. 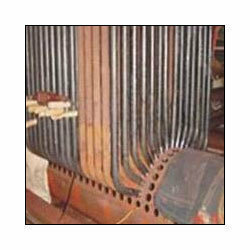 Boiler Bank Tubes are Bent to Shape Tubes or Steam Generating Tubes where Water is converted to Steam. Boiler Bank Tubes carry a mixture of water and steam. Fabricated from Tubes in various sizes and shapes, bending of these tubes is generally to larger Radius hence they need some Tube Bending Expertise to avoid wrinkles, surface cracking, irregularities, ensuring long life of tube resulting in smooth and efficient operation of the Boiler. These tubes for replacements in boilers have been supplied by us to various industries like Sugar, Refineries Steel Plants, small and Large Utility / Captive Power Plants. These Shaped Tubes are generally fabricated from Seamless/ ERW Tubes. The sizes of tubes having different shapes vary from 114 mm OD. X 4 mm Thk. to 50.8 mm OD. X 5.60mm Thick with or without Swaged Ends and with or without Welded Fins and with Wrap.